Angie in T.O. : FOR THE BABY!!! No, not our baby, gee-sh, at 44 years of age, that ship has sailed! Our good friends, Brian and Amanda, are expecting their third child in November and last night we gave them a baby gift. 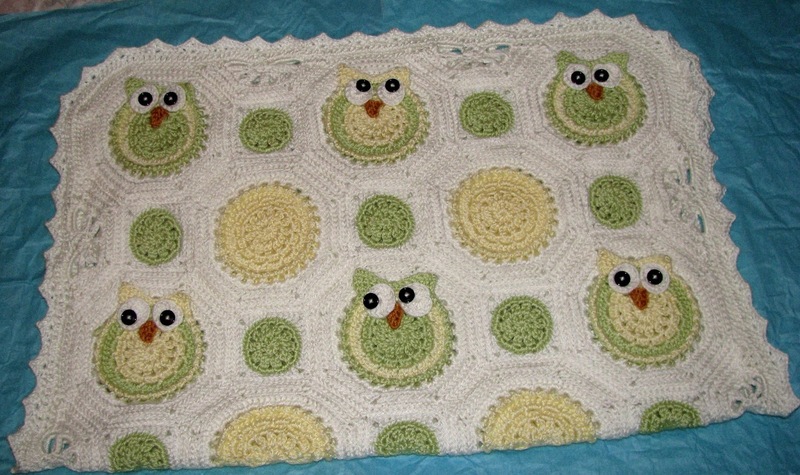 I had my friend and distant cousin in Nova Scotia crochet an owl baby blanket for me. We emailed back and fourth to discuss colours, etc., she sent me photos from time to time, and I emailed her payment. It was super easy to arrange, and Amanda was thrilled with the gift. 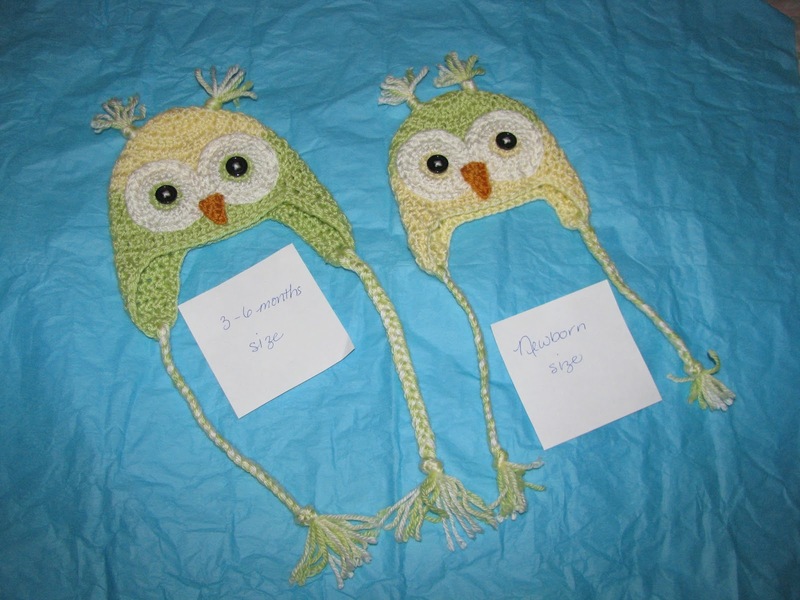 She even sent two owl hats because she had extra material left over at no extra charge! 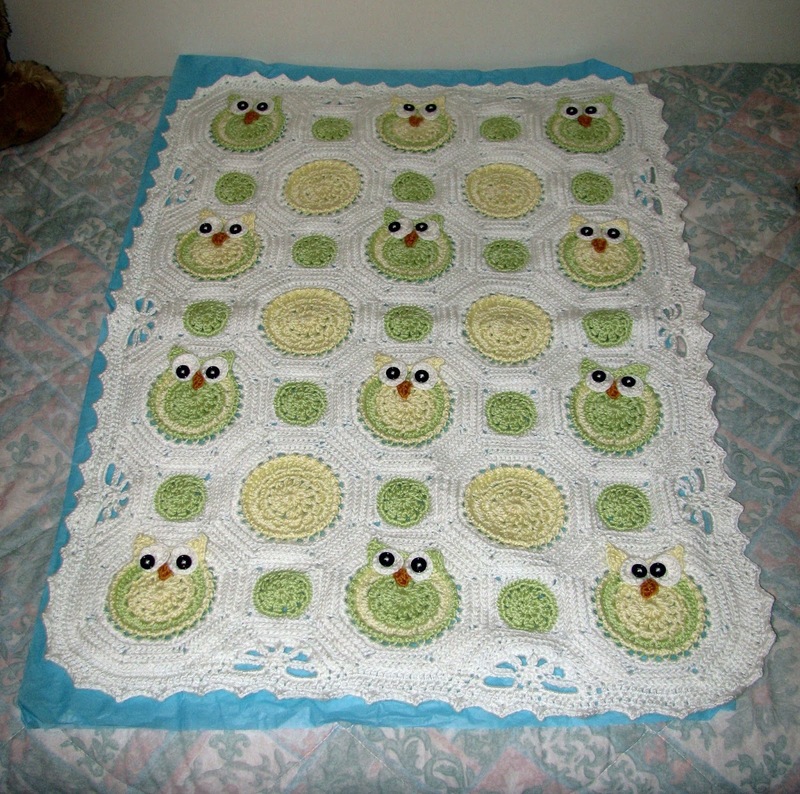 Closer look at the owls. She does great work and I would highly recommend her if your looking for some beautiful, home-made, crocheted gifts. Contact me if you would like more information and I will put you in touch with her. Can't wait to see the new "little one" wrapped up in the blanket and looking precious in the hats.